26 Finalists of Elite Miss Rajasthan 2018 have Been Announced Today. Today the name of final 26 participants who will compete for the Crown of Elite Miss Rajasthan 2018 have been announced at the event took place at Sizzlin Scizzors Vaishali Nagar, Jaipur. It took 4 auditions to finally come up with these 26 models. These auditions took place at Jaipur, Jodhpur and Udaipur in which more than 500 girls participated to be part of this biggest and glorious beauty pageant of Rajasthan. 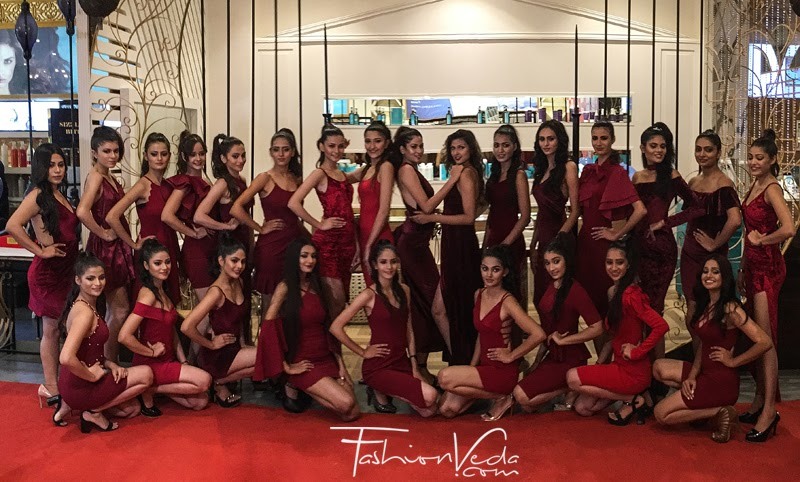 On this occasion these 26 models did the catwalk and then presented the message of Woman Empowerment in front of the audience which was followed by stylish photo shoot. Name of the Selected Models are :- Dhanushree Rawal, Muskan Avesthi, Gunjan Raghav, Yashika Singh, Rubal Shekhawat, Anjana Diwan, Amisha Ashu, Tripti Sharma, Almas Khan, Poushy Singhal, Ekta Jangir, Navnidhi Singh, Poorva Maheshwari, Khushboo Dahiya, Yasha Rajput, Ipshaa Dhar, Arshina Sumbul, Anjali Sharma, Kashish Gidwani, Surbhi Tiwari, Ranu Kanwar, Shaini Tyagi, Versha Mahalawat , Priyanka Sawariya, Raveena Mauriya and Priyanka Choudhary. Managing Director of “Elite Miss Rajasthan” Mr. Gaurav Gaur informed that the 5 days grooming and personality development workshops for these 26 models will going to be organized at Atharva Hotel & Resorts Jaipur. These workshops will be taken by the internationally acclaimed mentors who will train these models in Ramp Walk, Styling, Makeup Trends, Self presentation with Confidence, Camera pose and How to prepare themselves to compete for the Title. Mr. Gaurav Gaur informed that one of the celebrity judge of the Elite Miss Rajasthan 2018 will be Pooja Chopra Bollywood Actor. Mr. Ashok Lahoti and Mr. Jagdish Chandra will be the Chief Guest for the Evening. Kashish Gidwani Finalist of Elite Miss Rajasthan 2018. Gunjan Raghav one of the Finalist of Elite Miss Rajasthan 2018. Arshina Sumbul Finalists of Elite Miss Rajasthan 2018. 2nd Audition in Jaipur of Elite Miss Rajasthan 2018. At 2nd Audition in Jaipur of Elite Miss Rajasthan 2018. At Audition in Jodhpur - Elite Miss Rajasthan 2018. Finalists from Udaipur - Elite Miss Rajasthan 2018. 1st Audition in Jaipur of Elite Miss Rajasthan 2018. Finalists from Jodhpur - Elite Miss Rajasthan 2018.